Acrylic polymer and enamel spray paint on fiberglass. Finished in satin varnish. Signed on back. SOZE Gallery is pleased to present an exhibit of unique custom painted Modernica fiberglass shell chairs made on the original Herman Miller Equipment to benefit THE ART OF ELYSIUM. 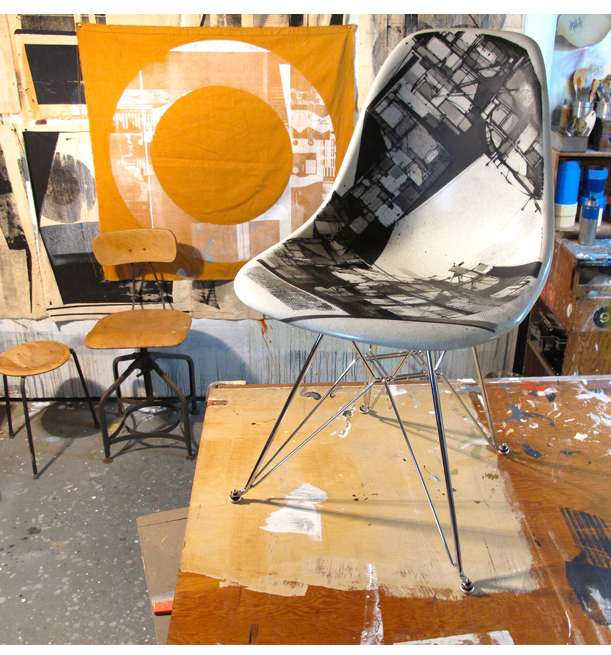 Established artists including: RETNA, Erin Riley, Aaron De La Cruz, Ben Frost, Mel Kadel and many others will display custom painted chairs that are works of art in and of themselves. A portion of the proceeds will go directly to THE ART OF ELYSIUM to support the incredible work they do.